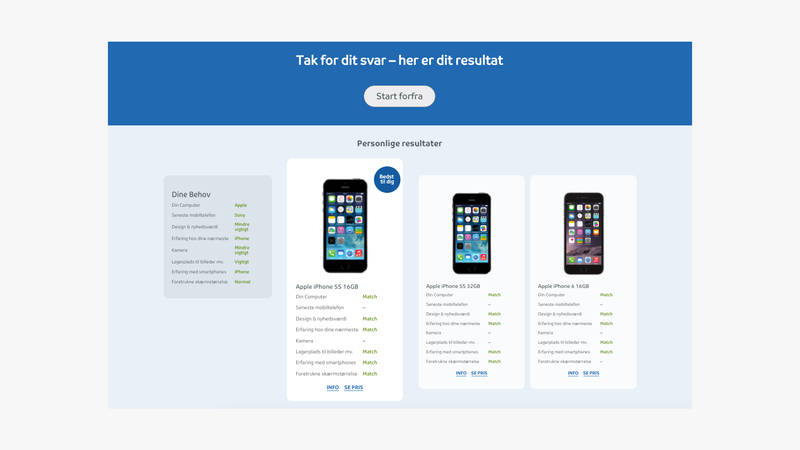 Danish telco TDC offers a tailored guide to first-time smartphone buyers. In outlining the best fit for varied use cases, the web app support in-store sales and service calls. Plus, generates leads. Many take for granted what a smartphone enables in our lives. To reach out to a less connected market, TDC sought to appeal the promise of connectivity to digital non-natives in-store and online. Shiny, flat, light-weight and can-do-lots-of-things; distinguishing what sets apart one smartphone from another can be tough. It can take an intimate understanding of use, touch and feel of the technology to find what’s right for the user. Making the transition in some cases from a landline phone is a huge step, so to break it down TDC started by asking some basic questions; what can a smartphone do for me? Together with Group M and Mediacom, we arrived at a concept that puts the right questions in the right order for the right people to come to the right conclusion about their smartphone purchase. Following the initial phase, we designed and developed a beta site for testing. 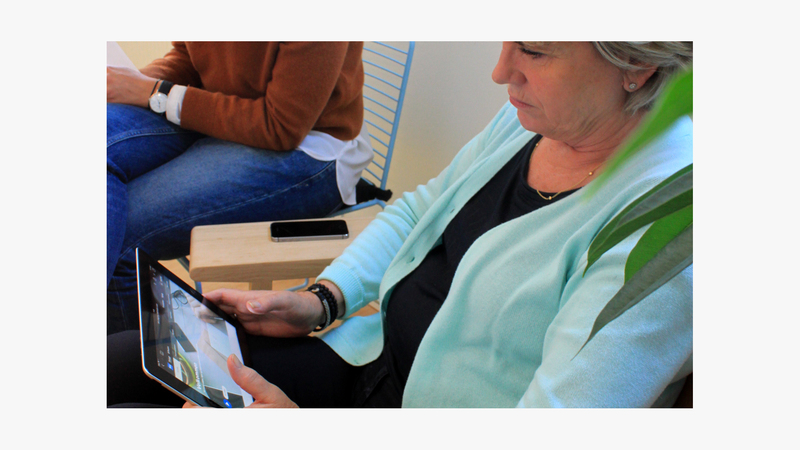 We then invited 10 members of our target group, first-time or new smartphone owners 65+ for coffee, cake and a little chat about the UX solution for the guide. From their feedback, we were able to apply adjustments to get the concept just right. With the seniors now on board, we were able to move on to development. For the backend, we applied WordPress CMS with integrations to an advanced module for booking in store sales meetings. 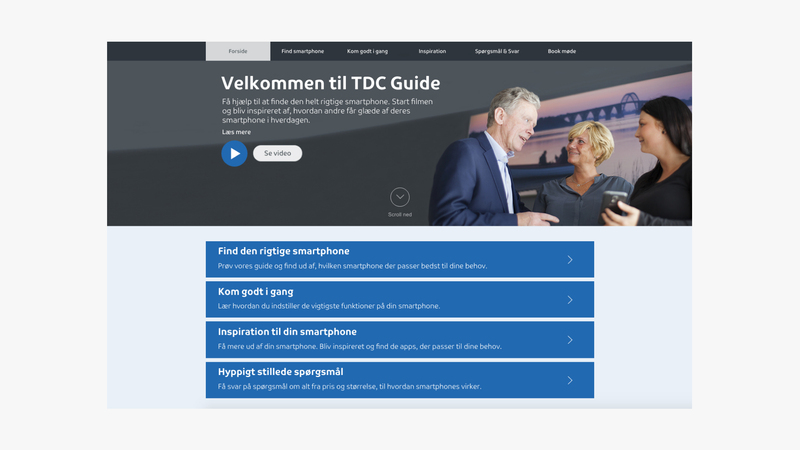 So tested, tried and now true, TDC has come through our process with a better understanding for their target group and a tool to reach out and connect. If your mobile device can’t read this, it’s not our code, check out the guide.